Senvion will likely withdraw from 'about 30 markets' and reduce the number of turbine variants it offers, according to an internal Q&A with CEO Yves Rannou. It is set to focus on "around 20 countries" in markets including Europe, Latin America, Australia and India, according to a document seen by Windpower Monthly. The Q&A does not specify which markets it intends to withdraw from, or provide further details about its target markets. The manufacturer circulated the Q&A among staff to address concerns about the launch of a "transformation programme" to stabilise the company after downgrading its guidance for the fiscal year. It makes no mention of job losses and Rannou said "all Senvion employees have a role to play in this transformation and have an impact". Rannou, who took over as CEO on 1 January, said "simplification" was the key concept behind the company’s action plan. He added Senvion had "not translated valuable orders into cash via excellence in execution in some countries". This was due to it "not show(ing) enough discipline" as well as "unforeseen circumstances", including the discovery of a live WWII bomb at an unspecified site. Rannou said Senvion had used "incorrect processes", was "an overly complex organisation that had spread itself too thinly across new markets", and had "a lack of customer focus". Senvion has also commissioned a restructuring opinion — an independent business review of the company. Rannou claimed this would give the company "support documentation for (its) talks with lenders" as it "proves (its) plan is robust, provides a lot of confidence to (its) stakeholders and will help (the company) find the most efficient solution". The German manufacturer is in talks with the company carrying out the independent review and the opinion is due to be available "in the next few weeks", he added. 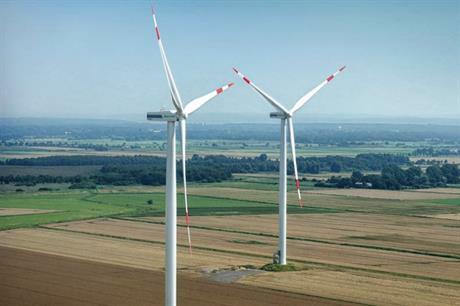 Earlier today, Senvion hired a chief restructuring officer to oversee the company’s ‘transformation programme’. Neil Robson, a partner at restructuring advisory firm THM Partners, will sit on Senvion’s management board during the company transition.